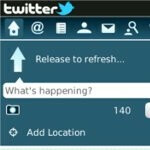 Twitter for BlackBerry has been a work in progress to say the least, but the latest version for the official application brings along some much wanted new features to its arsenal. Naturally, the biggest new addition with version 1.1 is that it now provides support for geotagging your tweets so that the location will be visible. Furthermore, you can expect to find some enhancements like auto-complete suggestions for hashtags, new language support (Thai, Czech, Polish, and Chinese), and a new streamlined layout with the home screen. Even though it might seem like new features, most of them have been available with the closed beta version of the app – which we’ve seen get plenty of updates. 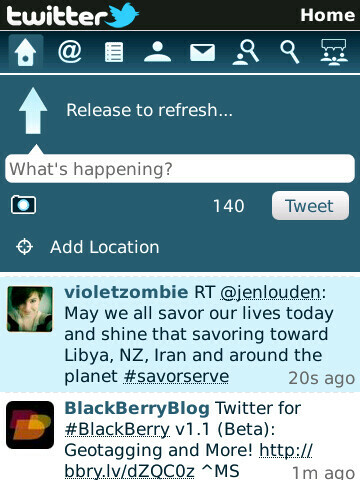 Still, if you’ve been sticking to using the full version of Twitter for BlackBerry, it’s now your opportunity to experience all the new refinements.